We are the Oturu School Bee Friendly Problem Solvers. We are a junior team of Community Problem Solvers. This is part of Future Problem Solving New Zealand. This is us at the Future Problem Solving National finals this year. 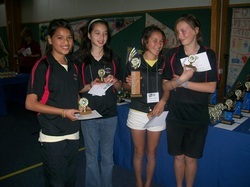 We had just been told that we were the winners in the Community Problem Solving junior section.